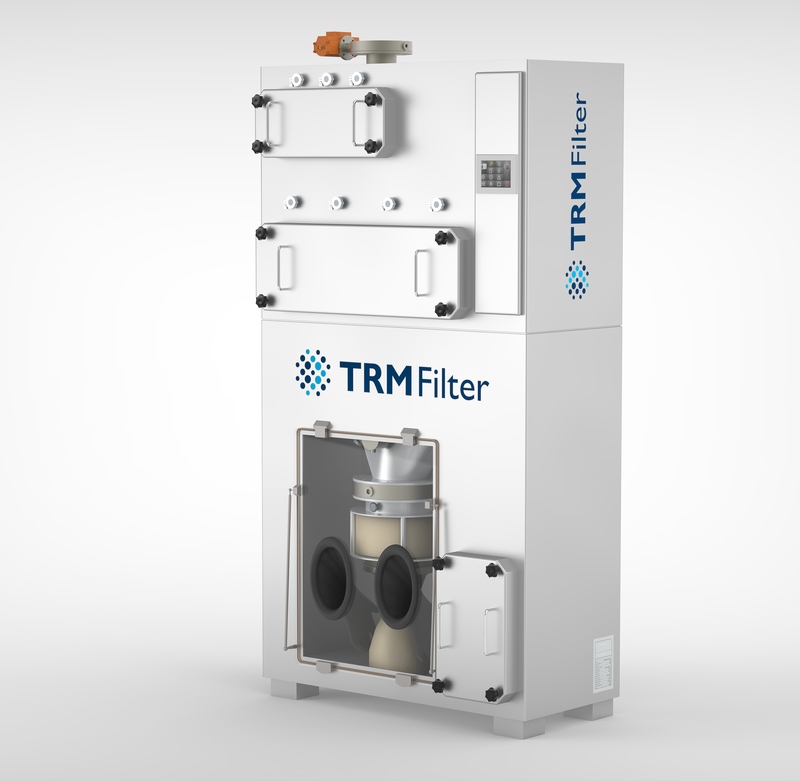 At the Achema 2018, TRM Filter, a leading supplier of pharmaceutical dedusting filter technology, will showcase standard configurations of the company’s ECH high containment dedusting systems. These dedusting filter systems for solids formulation and airflows of up to 1,000m³/h are operated locally, close to the point where dust occurs. This protects employees and process rooms against toxic dust residue even during maintenance and repair works. The filter structure at the place of dust occurrence performs another important task: it protects against cross contamination via exhaust air ducts. Only as much complexity in the handling of containment filters as necessary, but tested as safe and reliable in its scope of protection in all handling steps as required: TRM Filters’ Practico offers containment up to an OEL of 10 µg/m³ (including OEB 3), Optimo up to as little as to 1 µg/m³ (inclding OEB 4). TRM Filter containment provides reliable protection against the toxicological risks of these dusts in two stages. For highly effective HPAPIs (OEL < 1 µg/m³, from OEB 5) that require the maximum level of containment in production, TRM Filter adapts the designs and options of Maximo to the highest degree and after detailed consultation to the specific process and product requirements. Even if an explosion occurs during the airflow of filter dusts through the filter, the latter remains tightly closed. Toxic dusts cannot exit the filter systems. ECH High Containment dedusting systems were designed for all organic explosive dusts and hybrid mixtures with solvent vapours. The systems are explosion pressure resistant and have been successfully tested by the Research Establishment for Applied System Safety and Health (FSA).